On one hand Baroque master, Caravaggio, rubbed elbows with wealthy and powerful people such as the Borghese family and Cardinal del Monte, and on the other he befriended what would be considered a more unsavory bunch including Fillide Melandroni. Fillide was born in Siena in 1581. She later moved to Rome and entered into a career of prostitution by the age of only 16. Fillide was one of Rome’s most well-known and successful prostitutes, sought after by the elite of Rome. During the 16th century prostitution was a prominent feature, though a moral dilemma, of Rome’s landscape and one that was enjoyed even by the noblemen of the day. 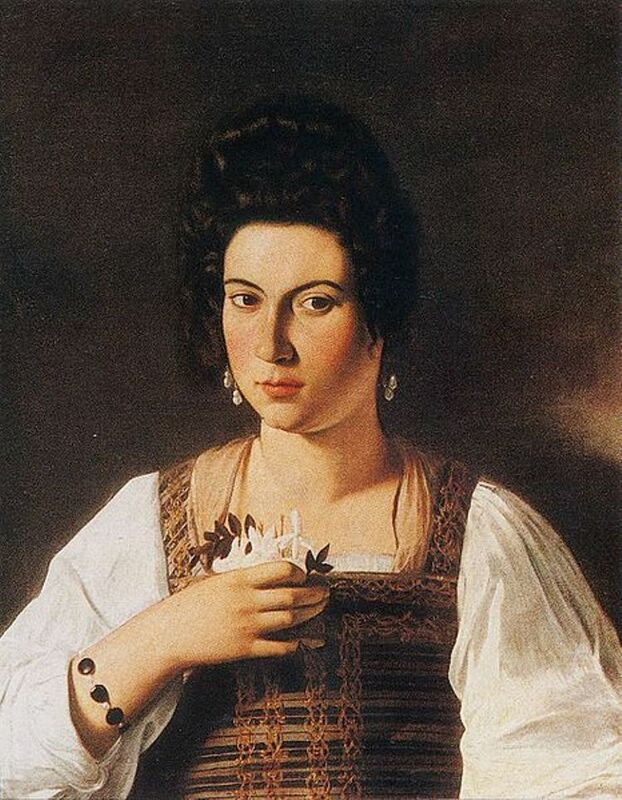 Caravaggio met Fillide when he was commissioned to paint her in, Portrait of a Courtesan, for an Italian nobleman, Vincenzo Giustiniani, an aristocratic banker, art collector and patron of Caravaggio. She was involved with Ranuccio Tomassoni, whom it is believed was Fillide’s pimp. 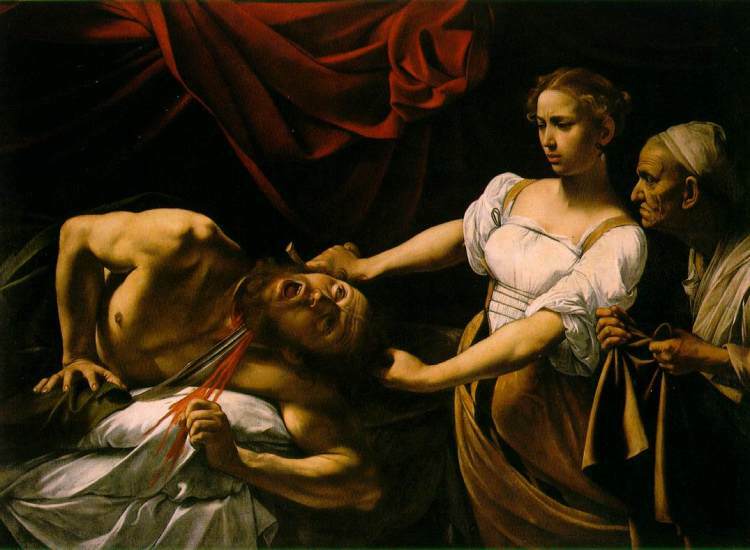 In 1606, Caravaggio was charged with Tomassoni’s murder, possibly due to an argument over Fillide, whom Caravaggio was romantically involved with. 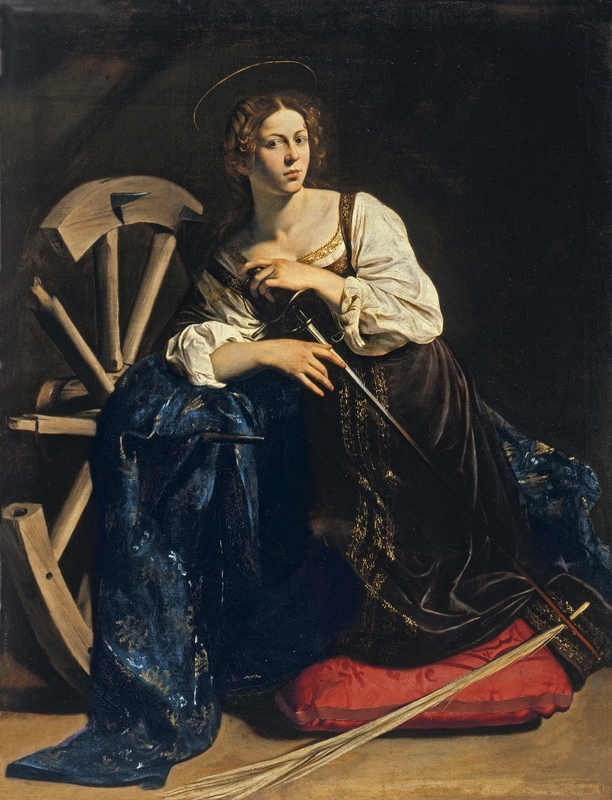 Not only was Fillide beautiful and a desired courtesan, she was known for having a violent nature, one that would be found desirable to a violent and dark man such as Caravaggio. 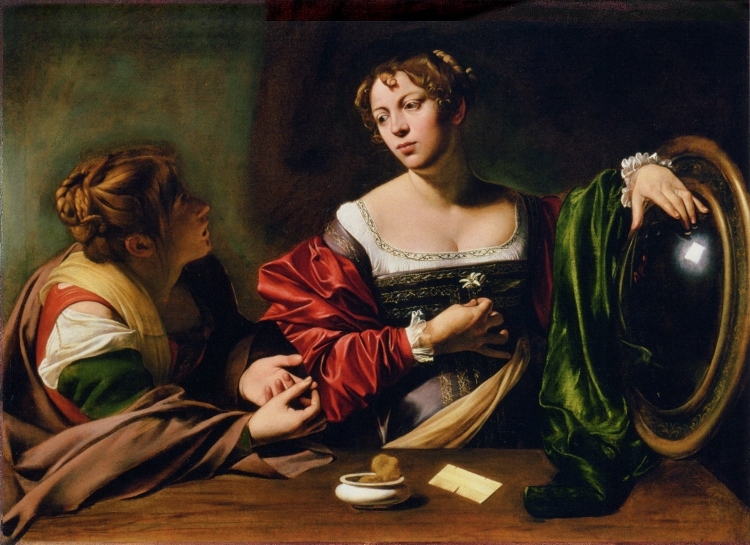 Caravaggio used Fillide as a model for at least 3 more of his paintings, Martha and Mary Magdalene, in which Fillide portrays Mary, Judith Beheading Holofernes, and St. Catherine of Alexandria.